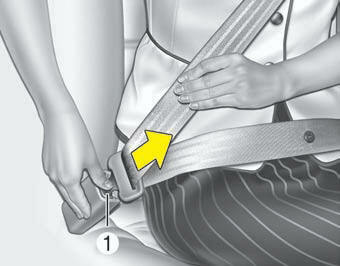 The seat belt is released by pressing the release button (1) of the locking buckle. When it is released, the belt should automatically draw back into the retractor. If this does not happen, check the belt to be sure it is not twisted, then try again.